“Beer has dispelled the illness which was in me.” This late Egyptian quote was displayed under a row of colorful hieroglyphs on the side of the Brooklyn Brewery on 11th street. Below, the Brewery’s seal was stretched in black and green around the lower corner of the building. 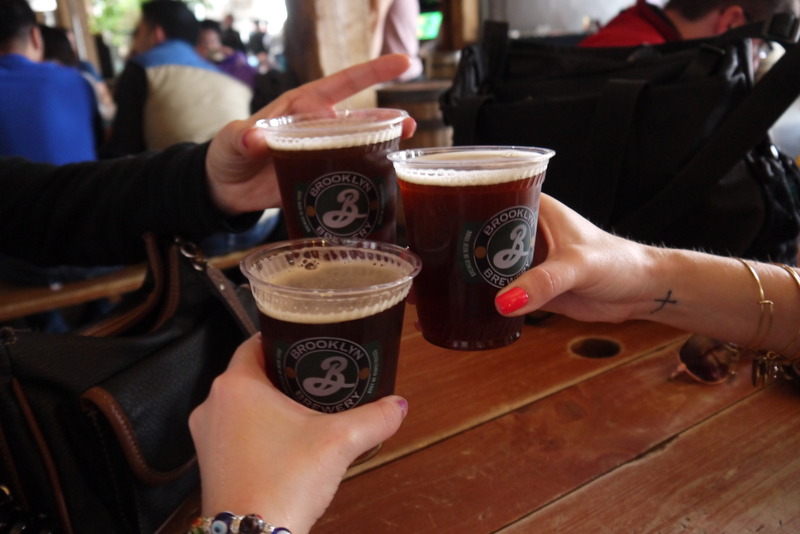 My girlfriends and I had arrived at our destination for our girl’s day outing: the Brooklyn Brewery in Brooklyn, NY. Upon entering, we obtained tickets for the 2:00 p.m. tour which, based on our time of arrival, was scheduled to begin in a half-hour. 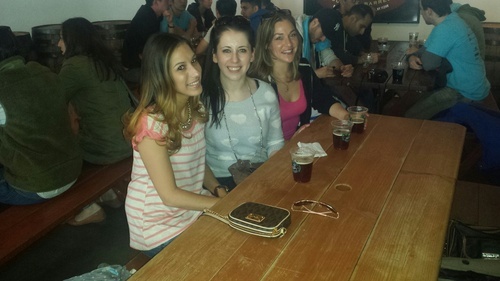 While we waited, we purchased “beer tokens” to sample the variety of homemade ales and lagers. Admittedly, being more of a self-proclaimed wine connoisseur or, simply, an avid lover of pink Moscato, the menu hanging over the bar proved difficult to understand. 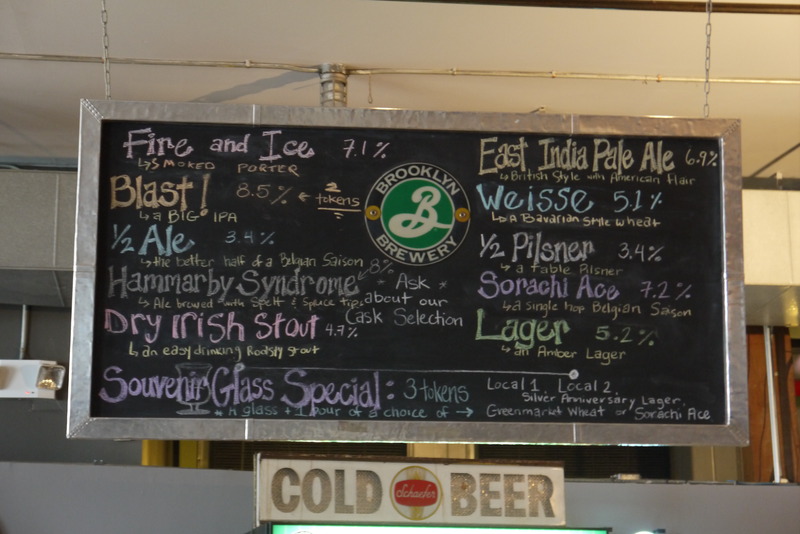 The options ranged from Fire and Ice, to East India Pale Ale, to Dry Irish Stout. I needed recommendations from the tender. With that, we all started with the Hammarby Syndrome, a robust ale brewed from a large proportion of spelt, a wheat-like grain, and spruce. Next, we tried the Pilsner, a type of pale lager. 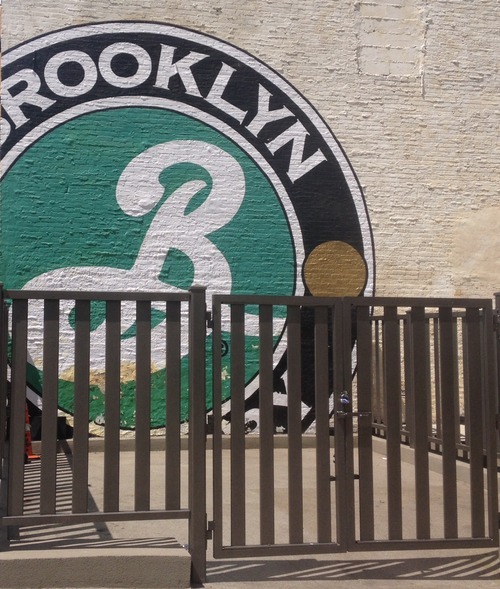 Each plastic cup displayed the infamous Brewery logo, which we learned was designed in remembrance of the Brooklyn Dodgers, an American baseball team which was active from 1884 to 1957. In the middle of enjoying our selections, we reserved some time for a photograph. We were so involved in our conversation that we almost missed the scheduled tour. A few minutes past 2:00 p.m., we scurried ahead to join the rest of the group. 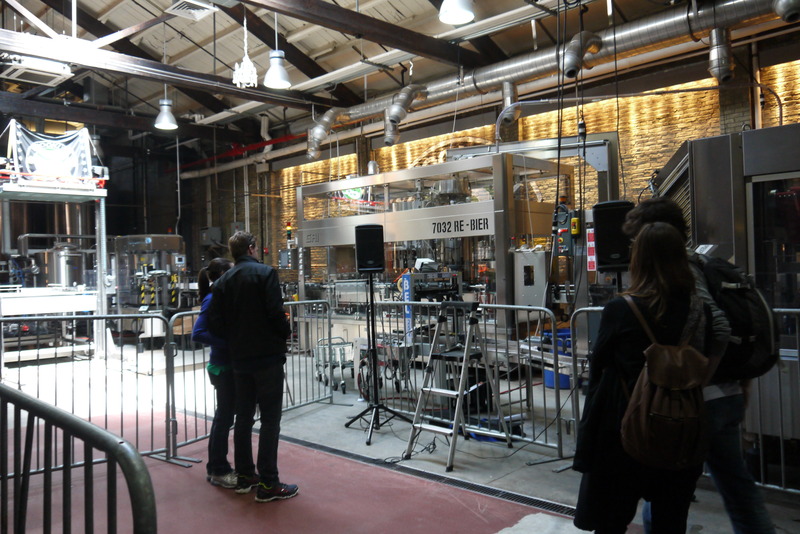 We stood among several barrels, all impressive in size, listening to our tour guide explain the brewing process. 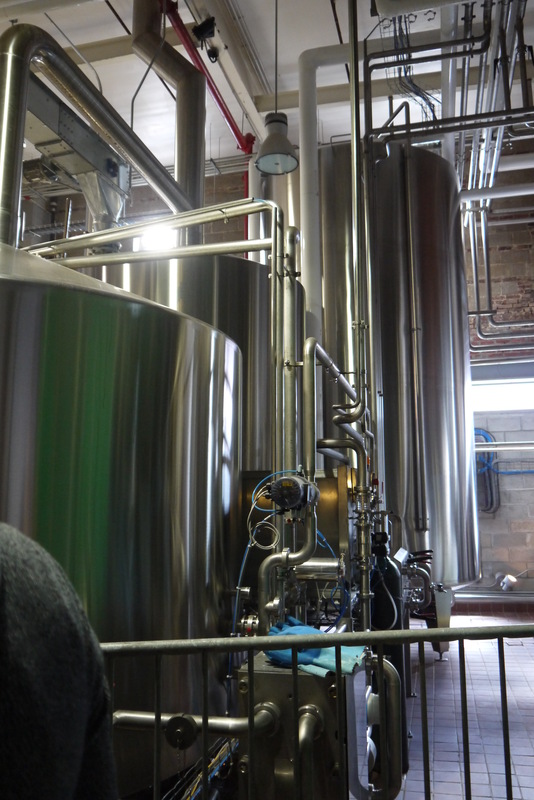 We then moved to the fermentation room which contained tanks up to 200 gallons in size. Our guide explained the difference between ales and lagers, the latter which represents 70% of the world’s beer population. 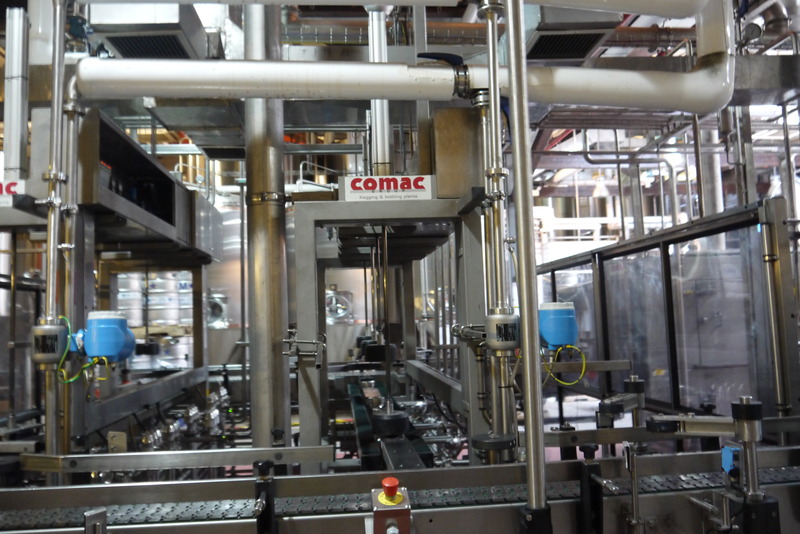 We learned of the new kegging and bottling lines, and the Brewery’s current standing as the ninth largest craft brewery in the fifty states. 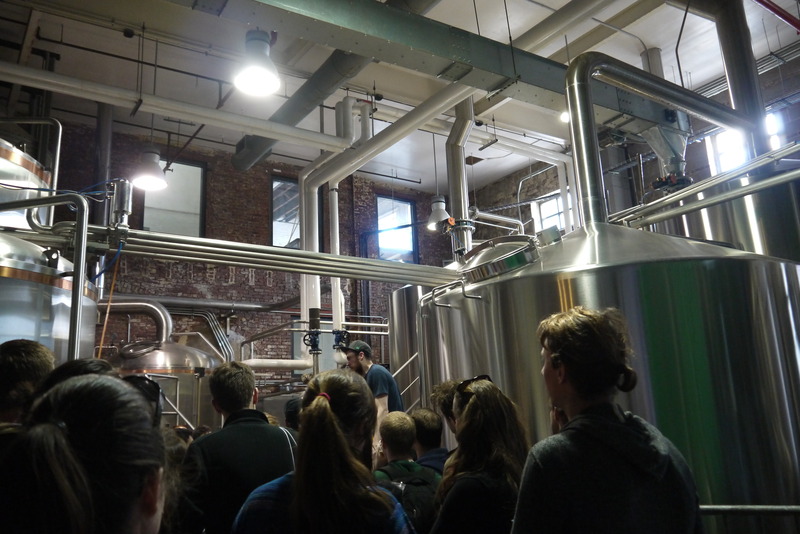 Who knew there was so much to learn about beer? The day proved to be a perfect success, well, until we traveled one stop too far on the “L” train. The three of us walked in circles on the platform, crossing arms and conversations as we confusedly pointed to different signs and directions. We finally found ourselves on the correct train, and on the correct path towards New Jersey where we grabbed some pizza on Washington Street in Hoboken before heading home. Beer! One sure fire way to grow any blog! Seriously I saw your comment on today’s Bloggers Inspiring Bloggers and thought I would check your blog out. Will have to explore it more in depth but I like the way you write-very open, and honest and real. And I feel the same way about the shared community here on WordPress. In the year I have been writing it has been frustrating, aggravating, infuriating figuring it all out, and by the same token, exhilarating, exciting, and rewarding getting positive and honest feedback. Thank you! I completely agree. I have had so much fun writing thus far. Thank you for stopping by!